Mr. Willie W. Hurdle Jr., 82, of Waterbury,CT, departed this life unexpectedly on Thursday, November 8, 2018. He was the husband of Janie (Lewis) Hurdle for over thirty years. 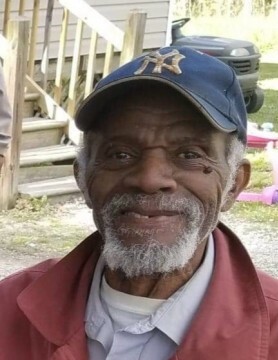 He was born on May 27, 1936 in Sunbury, NC and was the oldest of nine children to Mrs. Hattie Mae Hurdle of Sunbury, NC and the late Willie W. Hurdle Sr. Besides his loving wife, Janie, he leaves to cherish his memory, daughter; Mabel Hurdle (Lonzelle) Perry of Middletown, CT, son; Robert “Peter” Smith of Tyner, N.C.; four grandchildren; honorary children; Romeo Lewis, William “Juicy” Reid-Stith, Adrienne Reid, Brian “Pedro” Reid all of CT; sister, Sophia Ann Hurdle of Sunbury, NC; brothers, Leroy (Barbara) Hurdle of Waterbury, Ronald Hurdle of Sunbury NC, Timmy Figgs and Tyrone Figgs of CT, a host of nephews, nieces, cousins, and friends. He was predeceased by three sisters Mrs. Dorothy Smith, Mrs. Renie Dildy and Hattie Dildy all of N.C. two brothers Mr. George Hurdle of CT and Mr. Robert Hurdle of VA. The family will receive friends and members of the community on Friday November 16, 2018 from 4:00pm-7:00pm at the funeral home. A Celebration of Life will take place on Saturday November 17, 2018 at 1:00pm at Lebanon Grove Baptist Church.